The oilfield is a dangerous place to work. . It places employees in very hazardous, and potentially life-threatening, environments. On average, over 100 oilfield workers die each year, according to the U.S. Bureau of Labor Statistics. The number of oilfield deaths and oilfield injuries continues to rise dramatically. Drilling rigs, work-over and completion rigs, gas plants and compressor stations, hot oilers, oilfield trucking, roustabout and other oilfield services require the use of heavy and dangerous equipment. Their operation is carried out in an environment of highly explosive and dangerous chemicals and products. A safe workplace demands constant attention to the details of safety policy and procedure to prevent catastrophic oil field and oil refinery accidents. The experienced Dallas oil field accident attorneys of Jimmy C. Bailey & Associates, P.C. strive to aggressively represent those injured from oil field accidents. 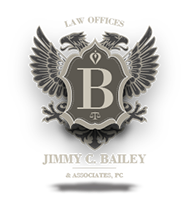 Jimmy C. Bailey spent over five years of exclusively handling oil field accidents and has forty years of experience representing injured clients. Accidents in the Oil Field/Oil Refinery environment can result in devastating harm. Many accidents result in catastrophic injuries such as tragic severe burn and electrocution, head and brain or spinal cord injuries, loss of or use limbs, loss of hearing, never damage, and exposure to toxic chemicals and gases and even death. At Jimmy C. Bailey & Associates, P.C, our experienced attorneys recognize the financial challenges that a work-related injury causes. We handle injury and wrongful death claims from oilfield accidents caused by third-parties and aggressively pursue compensation over and above what might be provided by workers’ compensation benefits.